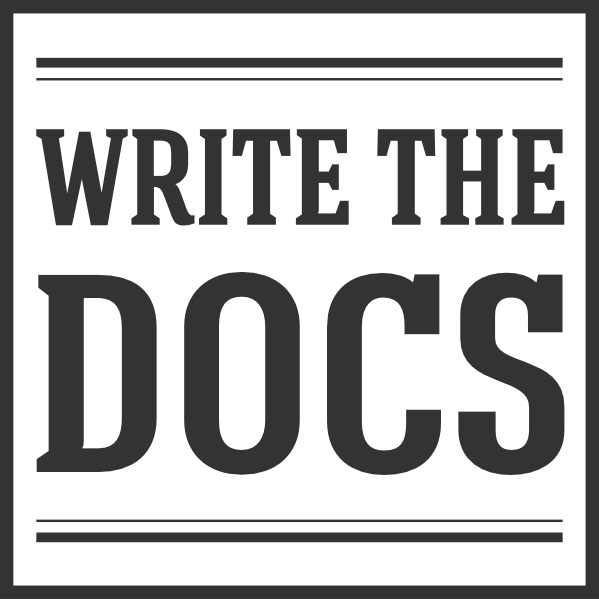 Hello, Write the Docs! Obviously, the end of the cold season depends entirely on what coast (or continent) you’re on, but here in the western US, we’re rapidly approaching springtime – which means Write the Docs North America is right around the corner! This month’s newsletter is a little behind schedule (apologies!) because we were holding out so we could include details about this year’s awesome speaker lineup for North America! We’re also excited to announce ticket sales for the EU conference, as well as an updated version of our community Code of Conduct (more details on both, at the end of the newsletter). It’s been a big month for WtD events! We’ve also had one of our most active months on the community Slack channel! We’ve cleared 1500 members, and we’re to the point where there’s almost always something going on, pretty much 24/7. Thanks to all of you for making this community so engaged and lively! As a result, we’ve got another great issue for you, packed with distilled conversations from around the Slack-iverse. Hope you find something to intrigue or inspire! In the last few weeks, the conference organizers have been faced with the hardest part of their jobs: selecting fewer than 20 talks from the 100+ submissions that came in. The quality of the proposals this year was incredible. To everyone who submitted a proposal – THANK YOU. We wouldn’t have a conference without your passion and hard work. An interesting question came up this month about how to introduce a procedure, i.e., a list of numbered steps. Some style guides (ahem, IBM) require writers to use a lead-in sentence, a heading that includes the word “Procedure,” or some combination of the two. The question was: Are there good reasons to disobey this rule? The community’s answer: Yes! One person mentioned that adding “Procedure for” to the beginning of every heading makes documents harder for readers to scan. Another pointed out that headings and lead-in sentences are often redundant and said they’ve successfully used brief, descriptive headings with no lead-in when formatting procedures. Others felt that it’s important to have a short description immediately after the heading to provide context and help readers understand the what and why of the procedure. This format eliminates redundancy between headings and lead-in sentences and avoids the sparse tone of going straight from the heading into a list of numbered steps. Overall, folks agreed that the format that uses the fewest extra words and helps readers find the information they need is the best format. A lively discussion about bylines in technical documentation showed up in the #watercooler channel this month, with some documentarians shuddering at the thought and others seeing it as appropriate acknowledgment. Some folks saw lack of bylines as a sign of corporate appropriation (for legal or intellectual property reasons), while others saw it as recognition that tech docs are often highly collaborative and therefore difficult to attribute to a single author. Still others saw bylines as an opportunity to encourage personal interaction with customers, while yet another group saw that same interaction as intrusive. Overall it seems that attitudes toward bylines really depend on context – as any good doc issue should! Bylines can help create a sense of community in developer docs, for example, or for community-driven projects, while for enterprise-scale doc sets they can be less appropriate. And book authors are in a category of their own, authorship being something that’s far less often repudiated or denied – after all, we have at least two noted authors of software books among us, both of whom helped dispel some common assumptions about the fame and fortune that accrue to book deals in the real world. Ensuring the accessibility of our content is at once super-important and a perennial challenge. Adding alt text for the visual aspects of our documentation is a good place to start. A request for some resources for crafting alt text arose this month, and there were some useful responses that we thought were worth sharing. Every once a while, discussion in the WtD Slack turns to titles…job titles, that is. This month, some of us shared our actual job titles and some dream job titles. Some folks pointed out that all the variation in documentarian job titles makes it hard to figure out who does what. And the standard “Technical Writer” seems to get more hits on LinkedIn. Still, who wouldn’t want to be The White Wizard of Help? As one person pointed out, Gandalf insisted on reading the documentation! Thanks for reading, and see you again next month!